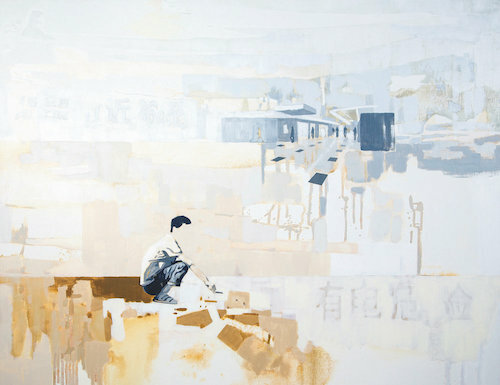 Nelson and German based painter Lisa Chandler explores protest movements and the things that divide and define us. Lisa’s painting style has evolved from landscapes to contemporary works that are based on the concepts of the non-place, urban wandering and translation. Her art is intertwined with her love of travel and wandering global cities, the reflective space of the studio and the exciting process of painting.